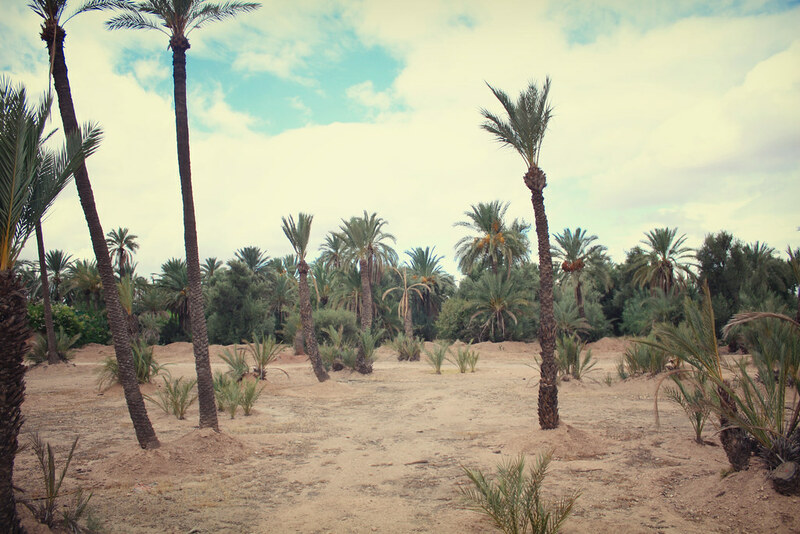 so our third day in Marrakesh was a black hole of discomfort and unusual bodily functions. and no, I don't mean the honeymoon kind. I was sick. obviously that is not a part of the trip I wish to share in detail with you all, but it is worth mentioning because it FOILED MY PLAN. Brando and I were signed on to do an overnight trek in the Sahara desert- I know, awesome. 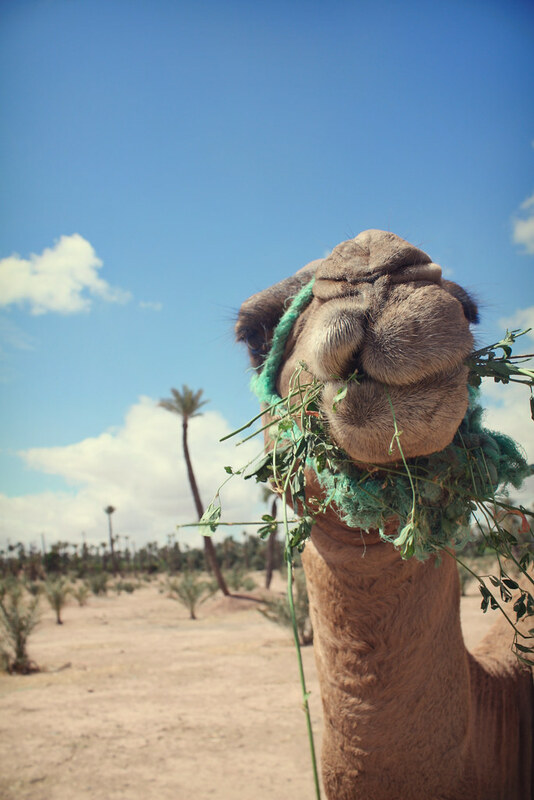 we would join our fellow travellers in a mini-roadtrip, during which we would stop by the site of a movie scene from Gladiator (one of my all-time favourite movies, might I add), followed by a journey by camel caravan into the Saharan dunes where we would sleep under the desert stars. that's why I was so bummed we had to miss it. BUT all was not lost. when I was feeling better the next day, one of the guys who worked at the hostel arranged a cab for me and Brando to go to the outskirts of the city for a little camel ride of our own. so I got my desert experience after all. yay! how cute is the baby camel?? 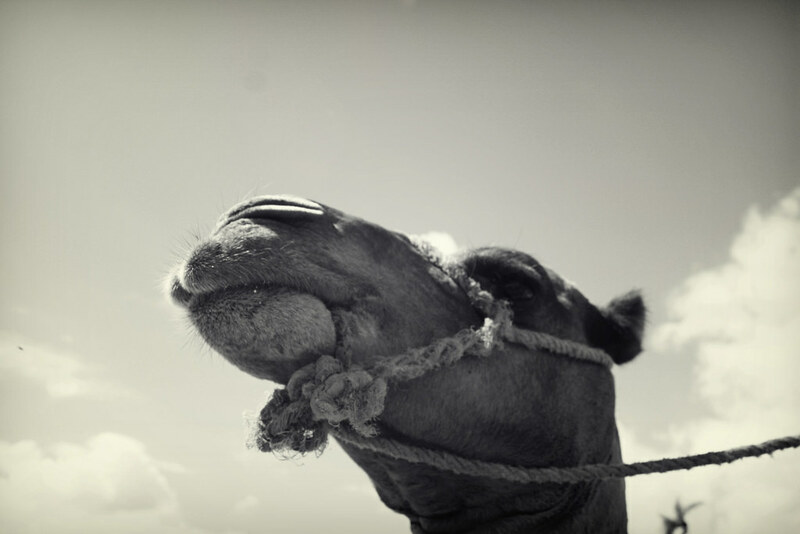 camels are so cool. they're tall and indifferent and make funny noises. I'm obsessed with my toms, btw. there's an autumn-y tweed pair that I am dying to buy. aaaand with that I'm off to watch the season premiere of Glee! because apparently I'm one of those people now. but if I ever start referring to myself as a "gleek" you have my permission to send me hate mail. Sad that you missed the overnight thing but still thinking it's wicked cool you got to ride de camels!!! Love the pics, esp the 2nd one. 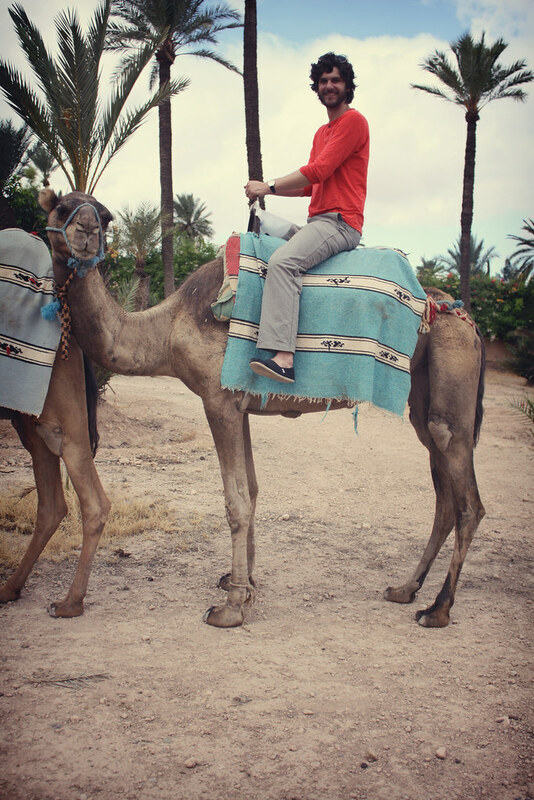 :) Also you and Brandon got some great camel posture there. Brandon even has his toes pointed! ahaha. Horse staff anyone? 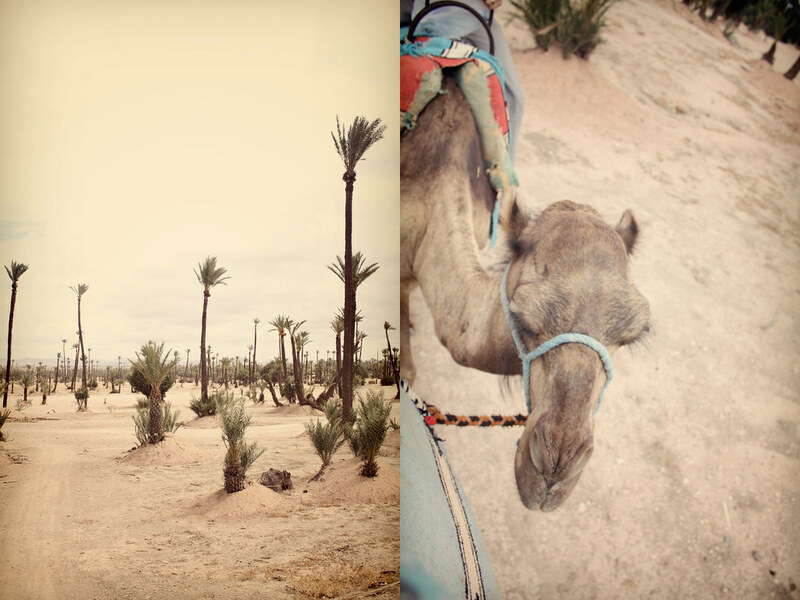 Theres always next time for your overnight desert adventure!! 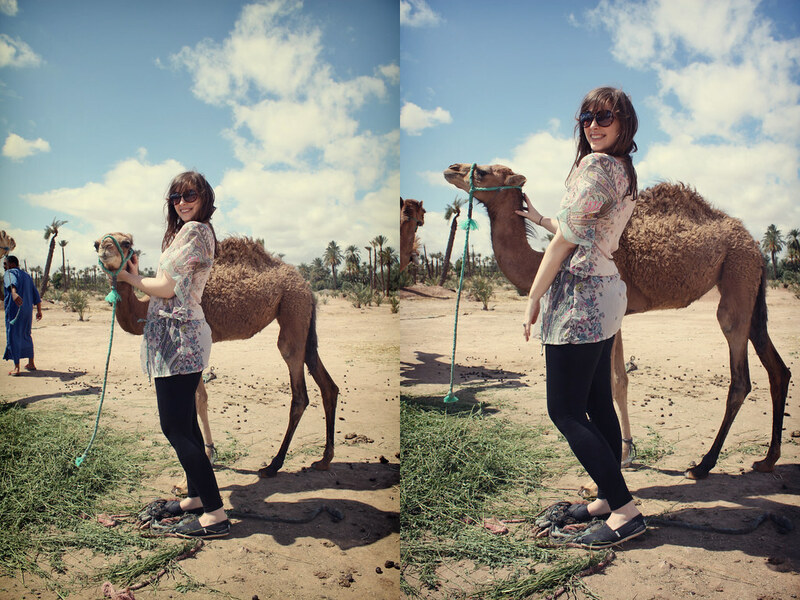 But you got to ride camels and you look so chic doing it, girl!! 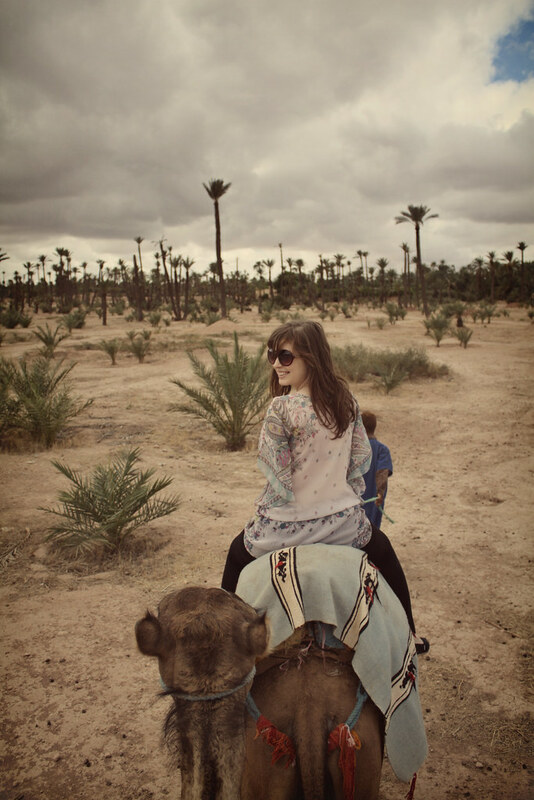 :) I love how the camels that you and Brando are riding at looking at the camera! That landscape is gorgeous! Also - it is so great to have all these pictures and thoughts on your trip in one place!! Another reason why blogs are awesome to have/to do as a hobby! Thank you so much for sharing it here with your readers, but I hope it will be a sort of scrapbook thing for you and Brando as well!